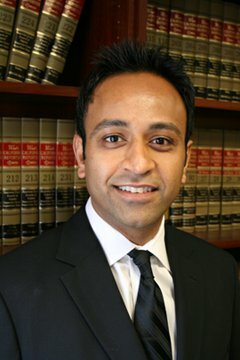 Ashwin V. Ladva, Esq. has been practicing law in the San Francisco Bay Area since 1999. Mr. Ladva graduated from University of California, Hastings. While at Hastings he was a member of the Women’s Law Journal, an organization committed to reporting on social issues and offered minority and women’s groups a voice in the legal community. Mr. Ladva gained invaluable experience while at Hastings by clerking for Honorable Judge Bea of the San Francisco Superior Court. After passing the California Bar Exam, Mr. Ladva practiced law in San Jose working for a mid-sized law firm where he immediately proved his skills and was given responsibility for arguing a host of different issues in both Federal and Superior Courts. After refining his skills, Mr. Ladva opened his first office in San Francisco representing individuals against insurance companies, corporations and governmental agencies. Mr. Ladva gained a great reputation in the legal community for being a fighter who never quits for deserving clients. This reputation has benefited his clients greatly and afforded them great compensation against insurance companies, corporations and governmental agencies. Furthermore, because Mr. Ladva has proven to the defense firms that he is not afraid to take cases to trial, he is usually able to settle cases quicker than most other plaintiff firms. In just two years after having opened his first office Mr. Ladva was proud to open his second office in Fremont. Mr. Ladva is dedicated to his clients and will fight each case with as much vigor as he does his million dollar cases. Mr. Ladva is a member and a financial contributor to the California Consumer Attorneys Association, American Trial Lawyers Association, and the San Francisco Bar Association. These organizations are committed to keeping our courtrooms accessible and open for all of us. Please visit their websites to learn more about the great work that they do. University of California, Golden Gate University. Jacqueline K. Oh joined Ladva Law Firm as an associate in 2018. 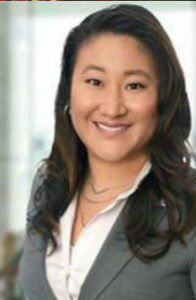 Prior to joining Ladva Law Firm, Jackie was a senior associate at Archer Norris’ On-Call Trial Counsel in Walnut Creek. A versatile attorney, Jackie’s experience runs the gamut of cases. She has represented landlords and tenants in unlawful detainers and affirmative lawsuits, and has handled all aspects of litigation on matters of business premises liability, product liability and personal injury law. Jackie’s legal experience in both plaintiff and defense work provides a unique perspective and knowledgeable advice on case strategy, with a focus on trial. Jackie graduated from University of California, Irvine with a bachelors degree in Criminology, Law & Society. Jackie formulated an early interest in the legal field and continues to obtain valuable experience throughout her legal career. Jackie’s background, born and raised in San Francisco with two hardworking immigrant parents, fuels her passion to provide a voice for those who need it most. Jackie received her Juris Doctorate from Golden Gate University, School of Law in San Francisco. While attending law school, Jackie was the senior comments editor of the Golden Gate University Law Review and a Golden Gate University Law School Merit Scholar. Before entering the legal field, Jackie taught English at two public elementary schools in Daejeon, South Korea for two years. Jackie continues to enjoy traveling during her free time. We specialize in personal injury, Uber/Lyft accidents and wrongful termination. Read more about the years of invaluable experience our compassionate attorneys have. We’re ready to fight for maximum compensation for our clients. Call for a free consultation today. Ladva Law Firm © 2018 All Rights Reserved.